Camping Eurcamping är en camping i Roseto degli Abruzzi, Teramo, belägen vid havet. Campingen har platser med stängsel, med skugga, utan skugga och platser med lite skugga. Camping Eurcamping ligger i närheten av en sandstrand. Det finns möjlighet att hyra husbilar och bungalows. På campingen finns en lekplats och ett sportområde. För den sportige semestervandraren har campingen utflyktsprogram. Det finns ett underhållning. Campingen förfogar över en utomhusbassäng och ett knattebad. I den närliggande omgivningen kan du också simma i havet. I Camping Eurcamping är det tillåtet att snorkla, vindsurfa och åka vattenskidor. Denna inspektör gör varje år ett besök på Camping Eurcamping och inspekterar campingen för ca 200 faciliteter och för andra förekommande punkter. Inspektören är en medarbetare från ACSI och arbetar inte för campingen. Arrived at the campsite following a ferry crossing from Greece and a long hot journey. Warm welcome received and allowed to choose own pitch. All facilities very clean and swimming pool a delight. Plenty of facilities for children . We cycled into town a long the dedicated cycle route a long the sea front with our dog who also enjoyed her stay. Would highly recommend this site. thank you for having taken your time to provide us with your valuable feedback relating to your stay with us and pleased to hear that you enjoyed all our facilities, hospitality and cleanliness during your stay. A very nice camping park that is well situated with the beach, bus stop all close at hand.The town of Roseta is easily walked or a good safe bike ride.The park is very large and with many trees.We used a pitch at the far end of the park ..bigger size and quieter.The \\\"old toilet block\\\" at that end was not as good as the newer ones however.Only one shower and one toilet.The trees at that end also need attention as many need pruning and even some on the corners need removal.It is NOT possible to get around some corners easily with the location of trees,bushes etc.At the entrance to the park, more organisation by the young attendants would be good.Keep the immediate area in front of the boom gate free..people park their van,walk inside and spend time looking to decide on a pitch..in the meantime no one can get out! Overall a comfortable site with a good restaurant with good and fair prices at the bar..better than the restaurant across the road on the beach.I would recommend this park. thank you for having taken your time to provide us with your valuable feedback relating to your stay with us. Your helpful comments are much appreciated and your feedback will help us to continually improve the standard of facilities and services offered to all our guests. Looking forward to see you again in the near future on your next visit to Roseto degli Abruzzi. Vill du boka campingen Camping Eurcamping eller få mera information? Det går bra med nedanstående uppgifter eller via campingens webbsida. 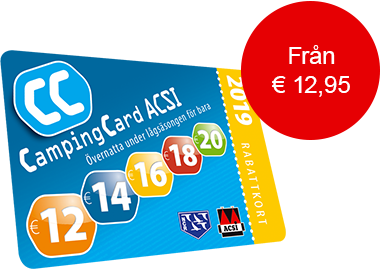 ACSI Eurocampings skickar din informationsförfrågan till "Camping Eurcamping".